﻿ How to Rally Customers for Small Business Saturday » Red Mango Marketing! The holiday shopping season kicks off in a few weeks and I’m sure you’re busy preparing. While the entirety of the season is a big opportunity for your business, it’s important to take time now to promote Small Business Saturday on November 24th, the day dedicated to shopping local. It’s estimated there are over 30 million small businesses in the United States in 2018 and when consumers shop small, everyone wins. Jobs are created, your community grows, and you have the ability to share your passion and experience with others. As a small business, you have the ability to focus on the customer in order to provide great experiences, and Small Business Saturday is your chance to spread awareness about shopping small. It’s your chance to not only promote your business, but rally consumers in your community to support other local businesses. Need some holiday email ideas? Check out our upcoming webinar: Last-Minute Holiday Email Ideas. Email marketing is a tool that helps you reach your customers and prospects, directly in their inbox. When people sign up to your mailing list, they’re interested in what your business has to offer and are interested in supporting your business. Utilize the “Small Business Saturday” email template in Constant Contact to encourage shopping locally. Let people know why shopping small is important for your community. You can include a special offer or exclusive content to promote Small Business Saturday. Consider partnering with other local businesses in order to promote each other. Let your email readers know where they can shop local on Small Business Saturday. Email 1: Send an announcement email as soon as possible. Let them know that Small Business Saturday is coming up and why they should shop locally. Include the details about your offer. Email 2: Send a reminder email a week before. Remind them of the deadline and your offer so they don’t forget. Email 3: A day or two before Small Business Saturday, send a last-chance email so they don’t forget to shop with you and use your offer. Email is a great way to rally your existing customers to support you and your community on Small Business Saturday. Social media is a tool that will help you expand your reach to even more potential customers. Start by sharing your email on social media. Use the content and offer you’ve added to your email campaign to promote the idea of shopping small. Create a series of three social posts; an announcement, reminder, and last-chance reminder to keep the buzz going until November 24th. In 2017, an estimated 108 million consumers reported shopping or dining at local independently-owned businesses on Small Business Saturday. With holiday sales expecting to grow this year (National Retail Federation), rally your own customers to share the news about Small Business Saturday. Ask them to spread the word with their friends and followers. Encourage sharing of your email campaign and even your social media posts with their friends and followers. You could also consider offering an incentive or host a contest to spread the word about your Small Business Saturday promotion. Bring the community and other local businesses together by hosting an event on Small Business Saturday. 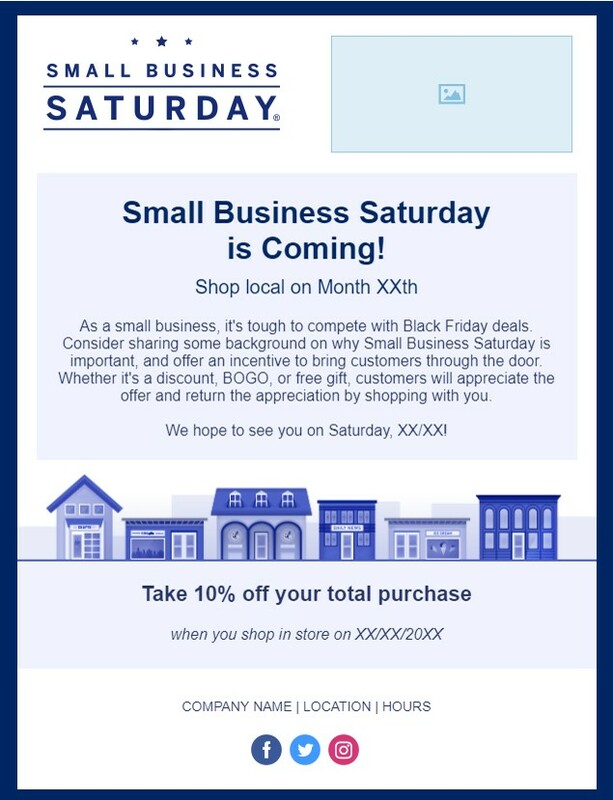 Be sure to check out the American Express website to get additional marketing materials to help you market your Small Business Saturday events. Amp up your holiday sales! Small Business Saturday is a great way to not only promote your organization but to encourage the community to support local businesses. You have several advantages over the big box stores. This is a great way to encourage more people to shop small during the busy season and throughout the year. Implement these tips to ensure you’re reaching people in a variety of channels and setting your business up to have the best holiday season ever! 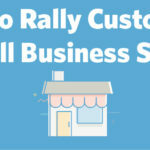 The post How to Rally Customers for Small Business Saturday appeared first on Constant Contact Blogs. This entry was posted on Wednesday, November 7th, 2018 at 8:56 am	and is filed under Email Marketing, News & Updates. You can follow any responses to this entry through the RSS 2.0 feed. Both comments and pings are currently closed.